The Tania floral turquoise/green throw pillow was a little expensive, but it tied my room together beautifully. The print is gorgeous, and I would recommend this pillow. 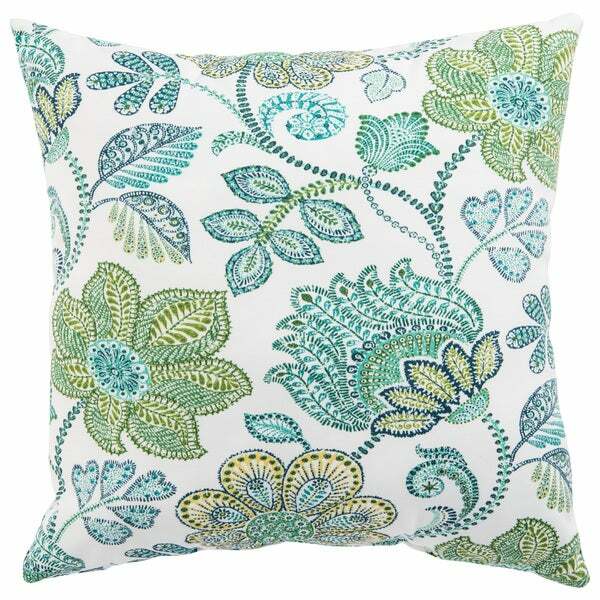 Intricate and detail-rich, this indoor or outdoor pillow boasts a global-inspired paisley pattern in contemporary cool tones. Green and turquoise add a touch of whimsy to this white polyester cushion, while the durable and weather-resistant construction proves perfect for patios and porches.